On the occasion of Erdenes Mongol LLC completing its first decade, N.Ariuntuya talks to its CEO, Tumentsogt Tsevegmid, about the years that have gone by and, more important, about the years of promise ahead. Ts.Tumentsogt has many years of experience in the energy and infrastructure business sectors. He also worked as an Advisor to the Minister of Energy, Head of the International Cooperation Department at the Ministry of Energy and Project Manager in charge of infrastructure projects at the World Bank. Just before joining Erdenes Mongol, he was the Resident Representative and Executive Director of General Electric in Mongolia, investing in and introducing the latest technology and equipment in energy, mining, railway, aviation and healthcare. -First of all, I wish you and your staff at Erdenes Mongol LLC a happy 10th anniversary. It has been almost a year since the new executive team took over. What has been your main focus since your appointment as CEO? -Thank you. During this one year, we have focused on improving operations of our subsidiaries and associate companies, and of our mineral deposits. We repaid in April, before the due date, the $350 million remaining of Erdenes Tavan Tolgoi’s loan from Chalco taken several years ago. As a result, ETT’s financial situation has improved significantly and this has enabled the company to earn a profit. However, the issue of infrastructure is still present. We have specially focused on working to increase the capacity of border ports and auto road transportation, and to ensure their reliability, given the increase in the coal export volume and transportation due to the recovery of coal price in the world market. We have also concentrated on technical rehabilitation and investing in machinery and equipment at Baganuur and Shivee-Ovoo. As a parent company, we are preparing to raise funds on international financial markets and issue IPOs in international markets and undertaking resource and business valuation. Furthermore, to expand our operation, we set up a number of joint ventures with private companies. These are in areas of geological survey and exploration and prospecting, producing metallurgical coke and steel, producing value added products, and exploration of coal bed methane. The primary mission of Erdenes Mongol, as assigned by the Parliament and Government, is to manage state-owned shares and increase the value of mining assets of strategic importance. 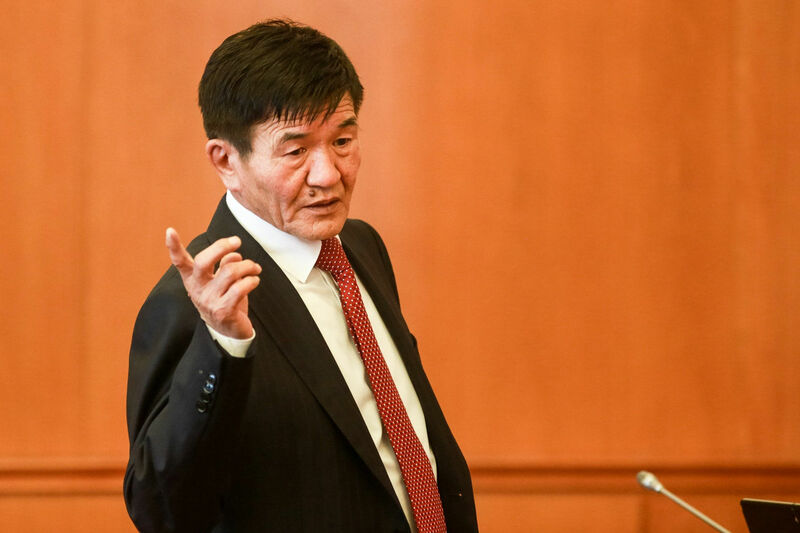 Erdenes Mongol has the responsibility to represent Government interests as shareholder in several companies. At present, we hold shares in state-owned enterprises, our subsidiaries. Erdenes Mongol now owns 86 percent of Erdenes Tavan Tolgoi, less than 14 percent of which is owned by Mongolian citizens, and about 1 percent by private companies. As for Oyu Tolgoi LLC, the Government of Mongolia owns 34 percent, and Rio Tinto and Turquoise Hill Resources own the remaining. The Oyu Tolgoi deposit’s open pit is in operation and construction of the underground mine is in progress. When that is completed, by 2022, Oyu Tolgoi will become one of the world’s top copper and gold producers. Baganuur and Shivee-Ovoo, which are registered in the Mongolian Stock Exchange, supply brown coal to thermal plants in the country’s central region. Gashuun Sukhait Auto Road LLC operates, under Erdenes Mongol’s ownership, the road, along which coal from Tavan Tolgoi is transported. In addition, we wholly own Mon-Atom LLC that operates in the uranium sector. We are developing projects through joint ventures with Areva of France and other companies. -Erdenes Mongol has laid the foundation for transforming state-owned properties to business companies. What has this process been like? What did you do and what has been the result? -A technical assistance project designed by the Asian Development Bank is being implemented to improve Erdenes Mongol’s ability to attract investment. As part of this project, we shall review our strategy, improve operational efficiency and productivity, strengthen capacity and diversify investments. We are also working to introduce an integrated management information system (ERP) based on information technology. We are doing a good amount of work in terms of improving financial management, risk management and human resource management. This project to improve operational and management capacity will gradually be implemented at all our subsidiaries also. The issue that attracts public attention and suspicion is our procurement practices. We are working to make the process open and transparent, and every procurement notice is placed on our website, which means whoever is interested can respond. Making the purchasing process open and transparent benefits the company in that we pay the minimum price for the required quality. For instance, we have begun to sell coking coal from Erdenes Tavan Tolgoi’s West Tsankhi deposit at prices set by open bidding. This transparency encourages all interested buyers to participate. There are many examples of successful state-owned companies around the world, such as the world’s biggest copper producer, Chile’s Codelco, and Temasek of Singapore. Erdenes Mongol is striving to become an investment and asset management company, similar to Temasek. We believe that the basic legal and institutional conditions to operate on corporate principles have been created in Erdenes Mongol, but they need to be further improved. My view is that regardless of a company’s ownership, its corporate governance must be improved. This is particularly true of its legal environment that must meet global standards of financial and human resource management, investment policy and asset management. -Mongolia’s low rating in the Natural Resources index published by the Natural Resource Governance Institute has been attributed by many to the “poor” governance practices in its state-owned entities, especially Erdenes Mongol. One major concern of theirs was your failure to publish information regarding your financial position, production and sales, etc. Erdenes Mongol once had its governance assessed by International Financial Corporation. Did they also feel the same? Are you planning to take any steps to change the perception? -We have carefully studied the NRGI and IFC assessments and recommendations. A working group has been working on a plan of action to eliminate deficiencies and mistakes. Our redesigned website will contain more information about our own and our subsidiaries’ operations, including financial reports, procurement notices and tenders. For the first time, we have released our operational report in accordance with international standards. The semi-annual report for 2017 was released in both Mongolian and English, containing information regarding finance, works in progress, company governance and structure, and projects. We followed the guidelines for publishing annual reports set by the Organization for Economic Co-operation and Development (OECD), and this and the following reports will be available on our website soon. These will be released every six months and anyone will be able to access information about our operation, financial situation and projects by going to our website. -There is criticism that members of your Board of Directors are replaced every time a new Government is formed, because most of them are from state-owned entities. Does this not hinder the Erdenes Mongol management team from acting solely on business principles, independent of politics? What kind of people now constitutes the Board of Directors? -We are relying on the independent members of the board to uphold corporate principles. Our Board of Directors consists of nine members, of whom six represent the Government, including those representing the Cabinet Secretariat, the Ministries of Finance, Mining and Heavy Industry, Environment and Tourism, and myself. The three independent members have been appointed through a selection process. They are D.Enkhjargal, former vice president of Mongolbank who worked for many years as a banker based in London, D.Munkhgerel, who has experience of working in the Ministry of Justice and the Constitutional Court, and Ts.Purevrenchin, who has been successful in the private sector. We actively ensure that their independence is fully respected. Both the number and the quality of independent members must be increased. International norms do not allow the majority of members on the board to be state representatives and this practice has to go, giving way to more independent members. We need investment to raise the value of the strategically important mineral deposits and to attract investment, we need to have professionals on the board, people with business experience, those who have worked in executive and management jobs and are recognized not just nationally, but also internationally. -Is there any change being made in the Board of Directors of the subsidiaries? -Board members of both Baganuur and Shivee-Ovoo have been appointed through open selection, according to the Company Law. A general meeting of shareholders takes place once a year as per regulation. Prior to that meeting, independent members are selected after publishing vacancy announcements in accordance with the Company Law. Erdenes Mongol owns substantial shares in companies that contribute most to Mongolia’s coal and copper export and sales. What policy do you follow to ensure the stability of export and sales volume, and to form a reliable network in the Chinese market? This issue is particularly important in the coal sector, for If the situation in the Gashuun Sukhait port continues, Mongolian coal export, Edernes Tavan Tolgoi’s in particular, will suffer disastrously. What measures are being taken in this regard? More than logistics and port capacity, the drop in coal export is related to China’s policy and decisions of other related entities. We are closely cooperating with the Government, particularly the Ministries of Finance, Transportation, and Mining and Heavy Industry. The National Port Council under the Ministry of Finance is seeking, through the Ministry of Foreign Relations, information about the issue from the Government, customs, port and other related entities in China and Inner Mongolia. We are expecting the issue to be resolved and the situation to improve soon. -The Vice President of Fenwei told our reporter that China would soon be restricting transport by truck of coal from Mongolia. Has there been any official confirmation of this? -I understand that our state entities have not received any official information in this regard from China. Some Chinese companies told us during Coal Mongolia 2017 that such restrictions were in the offing. They are there, judging by what is happening at the border ports. We see reports that the Chinese Government is regulating the domestic market and the use of coking coal to fit its policy on steel and the metallurgical industry, which is to support production that is profitable and environment-friendly. This rules out large-scale coal-based production. There is talk of setting import quotas for coal from Mongolia. To adapt to this situation, we need to improve our competitiveness, and reduce costs of logistics, loading and unloading. It means that we need to work towards exporting more value added quality products, not just huge volumes of raw coal. In the event of a quota being set, our companies’ business will suffer. Therefore, we need to have a discussion with China to increase the quota. As for Oyu Tolgoi, it has its own designated passage. Whether the issue can be solved in this way should be explored. Erdenes Tavan Tolgoi’s largest buyer is Chalco Trading, a Chinese company. The Chinese companies that purchase Mongolian coal sign a contract with the Mongolian supplier and have a contractual obligation to supply that amount of coal to the end user steel plants. If there is a quota, this will adversely affect Chinese companies also, so this is not just a problem for Mongolia. The Chinese purchasing companies will fail to meet their contractual obligations. It is not an issue for just two companies, and needs to be addressed at the top level of the two countries. If a quota is indeed imposed our Government will have to take up the issue with its Chinese counterpart, asking for the quota to be at least raised to the present level. -Truck-based coal transport has already been restricted in some regions of China, affecting Mongolian export, and in this situation, will building a parallel road in Gashuun Sukhait lose its relevance? -In the coal business, keeping transport costs low is most important. It is now necessary to implement the new railway projects, under the Railway Policy approved by the Parliament. The railroad from Tavan Tolgoi to Gashuun Sukhait needs to be constructed urgently. Railway transport can possibly be three times less expensive than by road. Taking up the railway projects is expected to be one of the highest priorities for the new Government. We also need consider China’s policy and the buyers’ requirements, when dealing with the matter of a parallel road. Even if we build the parallel road and the recipient requires rail transport, we shall have no choice but to transport by rail. -Erdenes Tavan Tolgoi is your biggest business. Negotiation with potential investors looked to be advancing but is now quiet. Has it really stopped? What went wrong? -Developing the deposit has been a topic of discussion for many years. In 2014, the Mongolian Government selected a consortium led by China’s biggest coal company, the Shenhua Group, as the investor. The Erdenebat government held talks with Shenhua, Sumimoto and Energy Resources, which constitute the consortium, to initiate the project. Shenhua expressed interest in cooperating, not just in mining, but also in building railways, and producing energy and coal-based chemicals. A political decision needs to be made with regard to using the Tavan Tolgoi deposit, and this is an important decision the new Government has to take when it resumes talks with the consortium. -What actual possibilities are there of exporting products to countries other than China? -Under the technical assistance project of the Asian Development Bank, a foreign advisor has been hired to work on transportation and logistics. This person is a specialist in procurement. Today, all of Mongolia’s copper ore and coking coal are exported to China. It is our closest market in terms of geographical location, but logistics and port capacity need be improved because all products are transported through auto roads. Also, the requirements from Chinese buyers are changing. Therefore, it is imperative to find a way to reach other markets in the future. Kh.Battulga, President of Mongolia, has talked about the possibility of exporting Mongolian products through ports in the Russian far east. Much research and study must be conducted in this regard. Our country does not have a transit transport agreement with either Russia or China. Coking coal is sold only at Gants Mod port, from which there is no legal possibility for Mongolians to take their coal to Chinese sea ports. Therefore, there is a need to undertake the feasibility study. However, in the case that a railway to the east is actually built, like, say Tavan Tolgoi-Sainshand-Choibalsan-Khoot-Bichigt, or at least from Tavan Tolgoi to Sainshand, and if it is connected to the Ulaanbaatar Railway network, the important objective of having export routes both to the north and south of Tavan Tolgoi will have been met, even if for the short term. However, this is not up to Erdenes Mongol. It will depend on the Government, and the Ministries of Road and Transport Development, and Mining and Heavy Industry. -Last year, Erdenes Mongol was valued at $1 billion. Are you now worth more? -I believe so. We have coal reserves at Baganuur and Shivee-Ovoo, and coal reserves with a licence held by Erdenes Tavan Tolgoi. Under the ADB’s project, these reserves will be assessed and valued, and then there will be an internal business assessment for the Erdenes Mongol. The result may well be a rise in value. 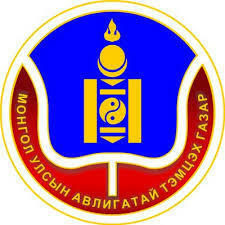 Erdenes Tavan Tolgoi is a public company in which every citizen of Mongolia owns shares. Work on registration of the state-owned 86 percent shares in Erdenes Tavan Tolgoi, and on recording the names of individual shareholders is currently under way. Consequently, the company’s value can potentially rise. By the time the full-year report of 2017 is released and by the middle of 2018, we intend to conduct our own valuation according to international standards and I am sure this will see our worth increased. -I would like to ask you about Erdenes Mongol’s IPO. What approaches and options are you looking at? When will you initiate work to raise funds? -In order to raise funds from international markets, firstly, capital valuation must be done. Secondly, a financial report is required to be audited by an internationally recognized company. We had our integrated financial reports for the past 3 years audited and certified by Ernst and Young, now called EY. Thirdly, the credit rating needs to be determined. When all this is ready, Erdenes Mongol or Erdenes Tavan Tolgoi will decide on which consultant to appoint to raise funds at international markets. We plan to prepare for Erdenes Tavan Tolgoi’s IPO over the next few years, though some work has been done in the past. Having established a working group, we are working with experts and professionals who have worked in the sector before. Besides preparing for an IPO, Erdenes Mongol LLC needs to raise funds from the market in order to finance projects that require funding soon. We are studying possible options, including issuing corporate bonds, having done the preparatory work. -Is it legally possible for Erdenes Mongol to issue corporate bonds? -It is possible. Our corporate strategy and plan must be clearly presented in order to gain the trust of banks and investors likely to buy the bonds. In case money is raised by issuing bonds, what it will be spent on and how the bonds will be redeemed must all be clearly decided beforehand. To gain that trust and belief, we must do our homework well and it all will go back to the issue of corporate governance. -Erdenes Mongol has established several joint venture companies this year. What are the advantages of implementing projects through such companies? -In 2017, we have activated and registered several new joint venture companies and started operation. Cooperating with the private sector and foreign companies means we can complement each other with our respective strengths and experience. The Beren Group has an iron ore deposit and has started producing cast iron for the first time in Mongolia. We are conducting a feasibility study for producing metallurgical coke and steel products in partnership with Beren Group near Choir. By cooperating on this production, Erdenes Mongol can supply coking coal. Therefore, we are working together in raising funds. As for MAK Group, they are one of the companies that have many years of experience in the mining sector and we are cooperating in the field of geological exploration and prospecting. We also cooperate with Areva in exploration and testing in the uranium sector. Areva is a globally recognized company in this sector and possesses leading technologies for exploration, mining and every cycle of energy production. -Erdenes Mongol has announced that it will implement projects worth $14.6 billion. -That is the total amount of investment needed for the projects that are planned at Erdenes Mongol and its subsidiaries, and feasibility studies of these are being prepared. For instance, at Shivee-Ovoo, a project to build a power plant, capable of exporting high-voltage power, and a transmission line is under discussion. This project alone requires an investment of $7 billion. Also, we have been offered projects of coal liquefaction by our partners. There are projects to increase capacity of Baganuur and Shivee-Ovoo. A project to build a new power plant in Baganuur is under discussion, so the deposit’s capacity must be increased. Baganuur’s deposit produces 3.8-4.0 million tonnes of coal annually and supplies coal to thermal plants in the central region. In the next 2-3 years, the capacity must be increased to 7-8 million tonnes which requires an investment of $400 million. In addition, a joint venture company has been established with Beren Group to produce metallurgical coke, steel spheres and iron products, and the project preparation is in progress. A total investment of $14 billion-$15 billion is required for these projects, but this is a long-term assumption. -As for the project to build a large power plant based on Shivee Ovoo deposit, it was said that it will export energy. Is there really a demand for energy? Some Chinese entities give the impression that there is no demand for energy in China. -The State Grid, a Chinese company, has been in talks since 2005 for implementing a project at Shivee-Ovoo to build an energy complex and export energy. The Chinese Government is very interested in this project. Xi Jinping, the President of China, expressed his support for the Shive-Ovoo project during his visit in 2014. As of today, China may appear to need no energy, but in the future, it is inevitable that energy demand will increase. Besides, environmental degradation and air pollution have become big problems for China’s big cities like Beijing and Shanghai, and in order to resolve this issue, a policy to import electricity from neighbouring countries is supported. In the long run, this project is beneficial for both sides. Mongolia has vast reserves of brown coal and China has a big market. The volume that Mongolia can export is currently put at 5.2 GW which is very small compared to China’s total usage. On the other hand, to mention in connection with this project, there is a big initiative, called “Super network of Asia”. A huge project is being discussed which looks to establish an integrated energy network, using renewable energy and latest technology for coal, and to bring the high-rate energy produced by the network to China and, in the future, to the Korean peninsula and Japan. With the support of China’s State Grid LLC, Korea’s KEPCO and Japan’s TEPCO, this project can be implemented in the long run, if not in the mid or short term, and is possible in terms of technology, and will be beneficial for its stakeholders. When this project is in progress, we can supply energy to that network. If China’s “One Belt One Road” Initiative’s 100th corridor, which is the Mongolia-China-Russia economic corridor’s auto road, railroad, electric line, gas line and communication network, goes through Mongolia, it can lead to a big cost saving. If this corridor is put in operation, we can mutually supply energy and ensure the stability. They may appear to be impossible today, but in 8-10 years, these projects can be completely implemented. Currently, State Grid LLC is finalizing the feasibility studies, and the investment for the next step will be discussed soon. -You have claimed to be working to increase the value of your subsidiaries, Baganuur and Shivee-Ovoo, but both are companies that run at a loss. -Baganuur and Shivee-Ovoo have been supplying coal to thermal plants in the central region for many years. Because of the financial difficulties of the transition period of 1990s, technological renovation was done by taking a large loan from the World Bank and the Government of Japan. The price of coal cannot be set at the level on which the costs can be recouped. If the price of coal goes up, electricity and heating prices go up, so coal prices are kept at a low level by the state. As a consequence, the companies have issues of debt pressure, operate at a loss, and often work in an erratic way. However, in recent years, electricity and heating prices have been raised and so has the coal price. We are working on repaying the accumulated debt and providing for the investment needs by taking a budget loan with low interest after discussing the matter with the Ministry of Energy, the Energy Regulatory Commission and the Ministry of Finance. Activities are under way to increase the price of coal step by step, and we have established a working group with the Energy Regulatory Commission to help facilitate the process. Accordingly, we consider that they can get out of the red and make a little bit of profit. The state can disinvest and not necessarily remain a majority shareholder, but its shares cannot be sold if they are not commercially profitable, so we are working on improving financial management and profit management. -Erdenes Mongol has ambitious goals ahead. What obstacles do you face when progressing towards them? -They are all achievable. Work on valuation and operation is actively under way. The big activities will come next, and agendas such as an IPO and investment in Tavan Tolgoi obviously need decisions from the Parliament and Government. If the decisions are made in this regard, the projects can be initiated. During the last one year, the Government and Board of Directors of Erdenes Mongol have made big decisions such as the one regarding share registration. Since the establishment of Erdenes Mongol, internationally recognized consultant firms such as McKinsey of the USA, Fichtner of Germany, International Financial Corporation, and Tony Blair Associated have given us valuable advice and suggestions regarding development strategy and models, and put us on the right road to development.